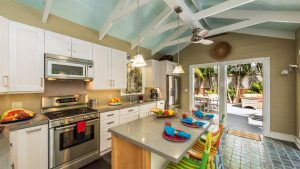 Ability to cook meals at home – Each Last Key Vacation Rental comes with a fully-equipped kitchen. Although eating out is a highlight of most vacations, it can get expensive. You’ll actually save money by stocking the fridge with groceries and making a few meals at home. 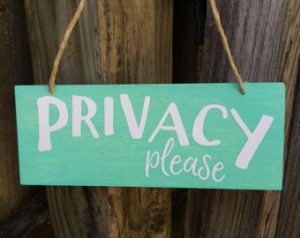 More Privacy – Enjoy an entire home all to yourself! Our vacation rentals offer a much more intimate setting than you’ll find at any hotel or BnB. Private features such as porches, balconies, and pools can really make a big difference. 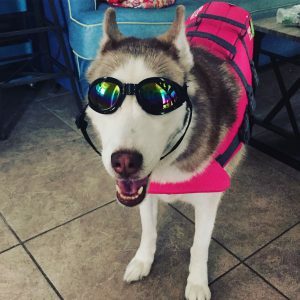 Pets Welcome – A family vacation is not complete without every member of the family. A large portion of the homes in our inventory allow Pets, so bring your furry friends with you to paradise! 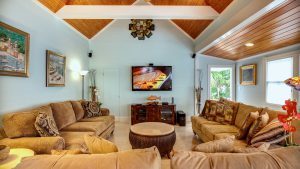 Luxurious Amenities – All of our rental homes come equipped with a washer and dryer, towels and linens, flat screen TVs and high speed WiFi throughout. And a majority of our properties also have a Pool and/or Jacuzzi for guests to enjoy. More Space – For those traveling with large groups, space is an important factor. Most hotel rooms can only accommodate a few people. This is not the case for our rental homes, we have homes that can house up to 16 people under one roof! Enjoy comforts of home – They call it a ‘home away from home’ for a reason. 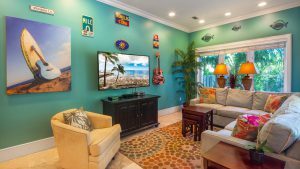 Each of our rental properties has been meticulously decorated in a way that makes you feel like you’re relaxing at home… on an island. Unrivaled Guest Services – Missing a Front desk staff? Our Guest Services Coordinators outshine any Front desk staff around. They meet our guests at their home upon arrival and are on call 24-7 to address all guest needs. We also have a full-time Concierge Service to set up bike rentals, fishing charters, excursions, etc. 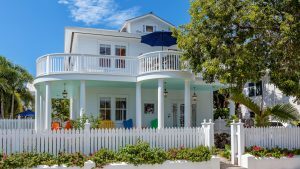 Experience the benefits of staying at a Last Key Vacation Rental for yourself by emailing us at rentals@lastkeyrealty.com or call our Office at (305) 292-6266 to speak to one of our reservationists! 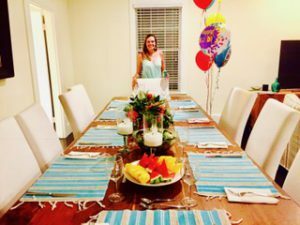 Each month we receive so many great reviews and fun photos from our guests. We select our favorite review and/or photo for that month and give away a $100 cash card to the guest with the winning submission. This month, like every month, it was difficult choosing only one winner. Our April 2017 Review/Photo of the Month is the Steiner Family, who were guests of ours at :: THE ROYAL COMPOUND :: for a month. 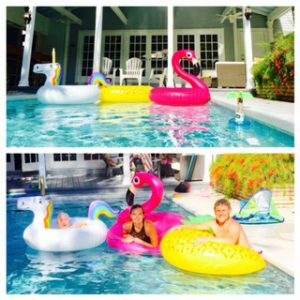 They submitted a glowing five-star review for their stay and also shared some awesome photos of themselves enjoying the vacation home. Thank you Steiner Family! What an awesome review! 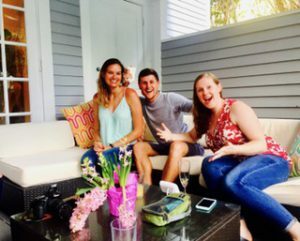 We’re so happy to know that these guests were taken care of by their Guest Services Coordinator, Amanda, and that they had an enjoyable month-long stay. 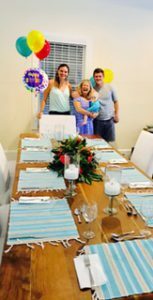 From the photos below, you can see that the Family had a wonderful birthday celebration during their month in Key West, and really enjoyed spending time together in the pool. Seeing these fantastic moments of our guests’ vacations reminds us just how lucky we are to be doing what we do and to live in such a magical place!